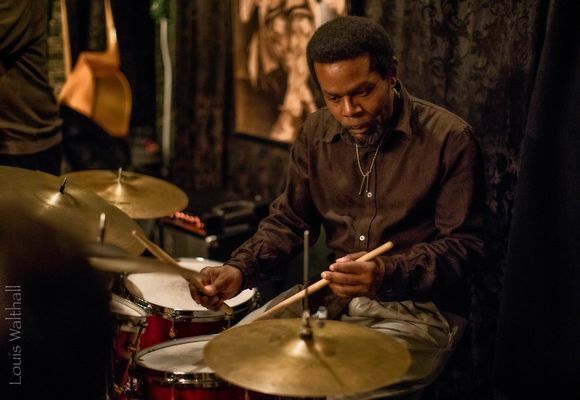 Taru Alexander is American jazz drummer born and living in New York. Taru is a son of Roland Alexander, an American post-bop jazz tenor saxophone player. During his long term successful career he performed and work with may musicians and recorded over fifty albums as a sideman. As a leader, he recorded album "KoJo Time" paying tribute to his father. He has also recently released a new CD with his father Roland Alexander called "LIVE at the Lennox Lounge" recorded in one of the legendary jazz clubs in New York in 1994. Taru has performed and toured besides with his father also with Rodney Kendrick, Carlos Garnett, Roy Hargrove, Gary Bartz, Kenny Davis, Lonnie Plaxico, Betty Carter, Abbey Lincoln, Branford Marsalis and many more… He has been also awarded for his musical achievements by Brooklyn borough president Marty Markowitz in 1996.